My first exhibition! 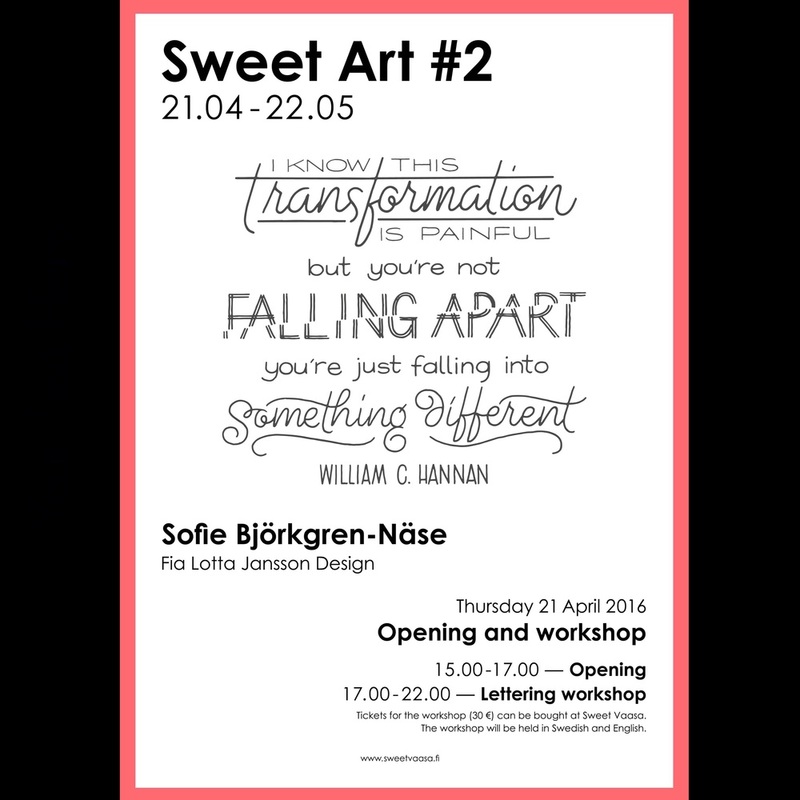 I am honoured and excited to be featured as the artist for Sweet Vaasa #2, the second exhibition in a serie at the coffee shop Sweet Vaasa in Vaasa, Finland. I am really happy to be in Vaasa again! It was my home town for ten years before me and the family moved to Stockholm. I have great memories from those years and many dear friends I will get to spend time with. Poster design by Ulrika Öhman. Lettering by Fia Lotta Jansson Design. But I will not only spend time with friends, I will be doing a lot of work. Besides the exhibition opening and Lettering Workshop I will attend a big fair and showcase lettering with iPad Pro and the Apple pencil. 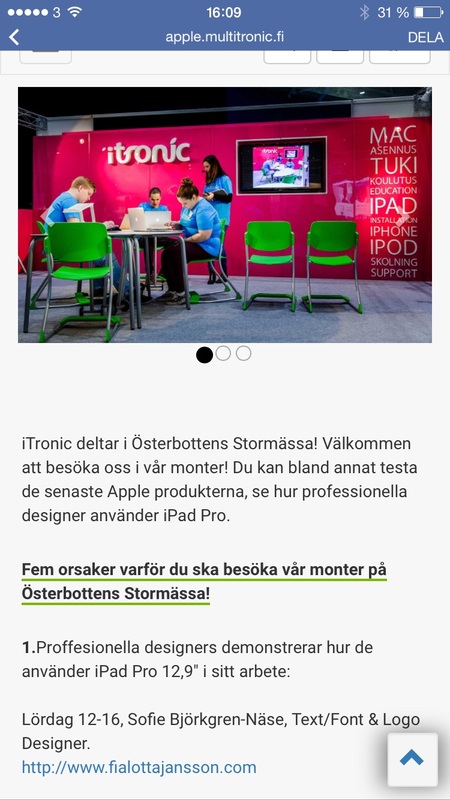 On Saturday April 22nd between 12.00 and 16.00 you can find me at the iTronic booth at Stormässan, the big fair, in Botnia hall. I've been looking forward to this week for a long time and now it is happening! I hope you all have a great week!